Most beautiful review article about Vietnam’s Capital city from world travel media author, it’s consider a beautiful charming colonial of oriental that make Hanoi become the best 10 Asia cities for holidays. HANOI, VIETNAM, September 11, 2017 /24-7PressRelease/ — Hanoi is a romantic, nostalgic capital city with many a tale to tell and like all of the world’s great capital cities offers visitors many a thing to do. Unfortunately, not enough people get to experience Hanoi’s cheeky streak and that is what makes. Travel to Hanoi most tourist are expecting to discover what is real Hanoi? Besides classic Hanoi tours schedule which shows major city attractive spots during the day time, most of this tour packages are used bus, car, sitting inside vehicle overlook out foreign tourist cannot helping wonder how interesting and crazy traffic culture of this city, negative point of this is pollution but Another aspect it is very interesting which only can find in Vietnam, will there are someone make questions would that be fun and adventure to try out drive motorbike or ride at the back of motorbike to mix in current crazy traffic to understand? The answer is definitely amazing unforgettable experiences of Hanoi tours. In fact, motorbike tours are not new adventure bike travel in Vietnam, but ride on the back of the motorbike is a new tour service in the city are boosting up rapidly, it offers great new vision of Hanoi, tour routine is not only riding around the old quarter, tourist are also be driven to no touristy are, driving a long back street to understand real daily life scene. Those friendly local calling white tourist out with some common greeting Xin Chao “Hello” within few hours hop on and off the motorbike, try out many kind local delicious foods which are cannot be found in restaurant’s menu, tourist would give true appreciation equivalent with money value for terrific Hanoi food tours by riding on the back of the motorbike. Hanoi beer tour founded by profound and tourism passion ally combine with exotic that is Tan & Bretts. When Brett first traveled to Vietnam in 2004 he was determined to try all the local beer. The the thing that he noticed on his quest was that many regional areas seemed to have a beer named after it (Bia Hanoi, Bia Saigon, Bia Hai Phong and so on) and that bia hoi was as synonymous with Hanoi as eating a meat pie was in Australia. And it was on this early quest that Brett’s love with Vietnamese beer and the ‘beer food’ that went with it was formed and his never ending quest for good beer and breweries has been marching on ever since. Over the last decade, Vietnamese beer culture has morphed somewhat and the most wonderful microbreweries and beer halls have started to spring up all over the country and in particular in Hanoi. 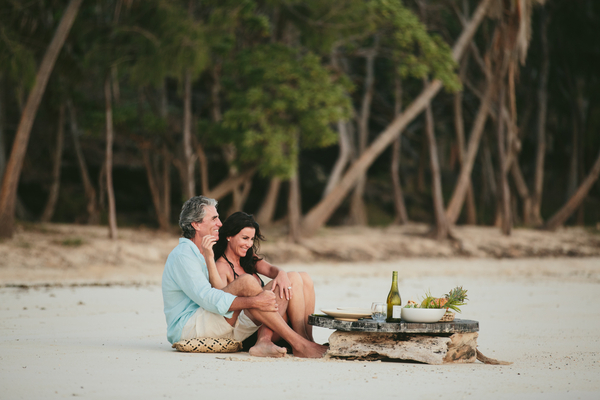 The downside is that they do not tend to be marketed very well and very few tourists or even expats know that they exist. This is where Tan and Brett have innovated and solved the problem and the result – Tan and Brett’s ‘beer and beer’ tour! Come join our ‘beer and beer’ tour if you are a beer lover and want to be excited! 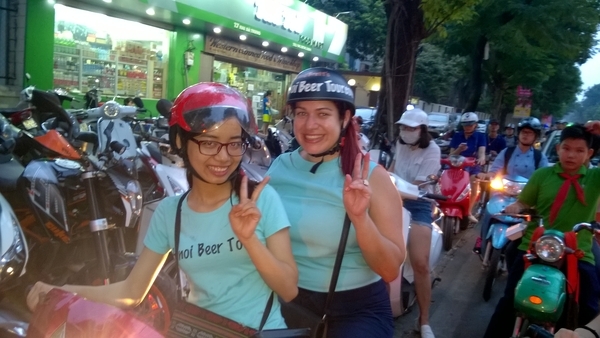 Come join our ‘beer and beer’ tour if you would like to be driven all around Hanoi (and not just in the Old Quarter) on an exhilarating quest to sample some of the tastiest beers in all of Vietnam – cold, fresh, tasty brews that are brewed on site at some of the best, yet hidden, microbreweries in Asia. Come join our ‘beer and beer tour’ if you would like to sample some of the tastiest local foods that are just the perfect accompaniment to the amber liquid. Come join our beer and beer tour if you love a great yarn and want to be whisked away on a tour that you won’t find in any guide book (and not just in the Old Quarter). But most importantly come join our ‘beer and beer’ tour if you want to have some good old fashioned fun. About Tan, love to be call Jackytan is a 100% born and bred Hanoian who has lived in Vietnam all his life. Tan loves a beer and loves a good time. More importantly, he loves Hanoi and is the pre-eminent story-teller in the whole city. Our guests love Tan, love his humor and love his unique tales. When people talk about loving Vietnam, in particular, its people – Tan is also willing to advise the best Vietnam Vacations, that is the reason why. Oh, and did we mention that he loves a cold beer. About Brett an Australia’s beers drinker who has a passion for beer, travel, and Vietnam. Brett has been traveling to Vietnam each year since 2004 and it was on this first trip to Vietnam that he met Tan (over an obscene amount of beer) and their friendship which started that day continues today. Brett is a beer loving expert when it comes to beer in Vietnam but not an elitist beer snob douche. He loves his guests having a ball and loves sharing the experience with them – after all who wouldn’t want to ride around Hanoi each day drinking beer and eating awesome food?